Neat mounding habit with dark green leaves edged in lime-green, gracefully arching, perfect for a splash of color in the shade garden. 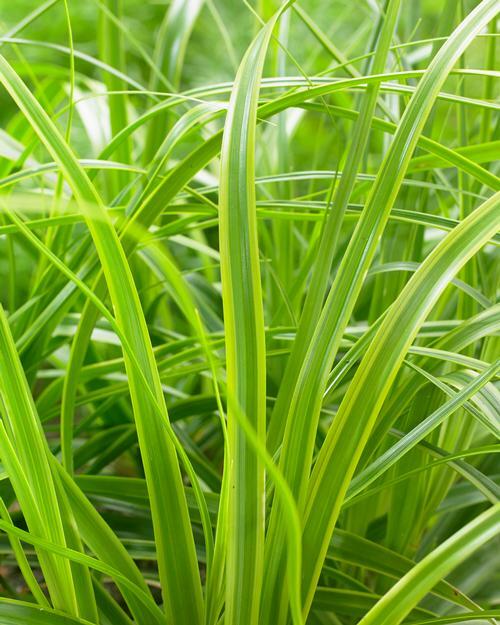 Low mounding grass that prefers moist soil. Use as a ground cover or around ponds and streams.